These are the types of testimonials I have heard and witnessed throughout my education and experience with the expressive arts as a therapeutic intervention. 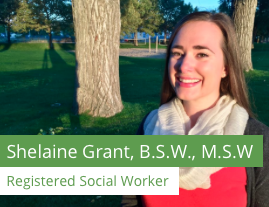 As the new child, youth and family counsellor on the Okanagan Clinical Counselling Services (OCCS) team, I am going to describe the core benefits of Expressive Arts Therapy, as it is often a misunderstood form of support. Expressive Arts Therapy involves the use of various creative measures in order to bring about empowerment, healing, and change. It is all about releasing emotions in a safe, supportive, and creative environment. Only applicable or appropriate for children and youth. Singly for those who have experience with the arts or have skill/talent. Merely about drawing or painting how you feel. Solely concerning the creation an outcome or product (Knill, Levine, & Levine, 2005). A traditional therapeutic approach where the therapist’s main focus is to listen, to validate, offer suggestions, and explore information about the problem. The therapist watching clients make something and then deciphering the meaning behind the created work. A complementary practice alongside other therapeutic interventions – for example, Cognitive Behavioural Therapy or Mindfulness. Client-centered, collaborative, empowerment-focused, and strengths-based. Multimodal, meaning anything creative can be used in sessions, including music/sound, dance/movement, storytelling, puppets, collages, etc. An approach to empower oneself and heal through something that cannot be discussed in words. A method to release emotions blocked body sensations, and unhelpful thoughts; to face fears of the past or present; and to feel the pure joy of the whole self-coming together in unity and strength. A way to try things out, make discoveries, take risks, do it again if it does not feel right, be silly, be brave. A manner of working with the creative process as a paradigm for addressing suffering, where the focus is on the process itself, and on the insights that emerge, rather than on the outcome or product. Therapist participation can take many forms, such as acting as a witness to the art making, as a facilitator of the process, or as a full participant and co-creator (Levine, 2015). The levels of engagement depend on the therapist’s assessment at any given moment and what the client is expressing they need. In our creativity lies passion and hope, which motivate and inspire us to change what is not helping us, to move through pain, to gain strides that will help us achieve our greatest potential. As Daria Halprin expressed (2003), the creative process opens and reflects back to us images of who we have been, who we are, and who we might become. Indeed, the passion and creativity of the arts allow us to live with our suffering and find release through creative play. So next time you are feeling like you could use a bolster of confidence, get out of your comfort zone, or express what is going on in your life in a creative way, I encourage you to consider how the expressive arts may assist you and your loved ones in a personal journey of wellness and fulfillment.